I wake up each morning, I say my prayers before I open my eyes. It is late October 2015. Soon lil ChadJoseph​​ will come in to snuggle just before the sun will rise like clock work, our daily routine. Now the house becomes busy with the kiddos getting ready for school, it’s D.A.R.E. Red Ribbon Week. Each day has a different theme and the message is to say no to drugs. Say no to taking someone elses prescription. Say no to drinking and smoking! Parents are encouraged to have “the talks” as the students participate in dressing in class colors or mis-matched clothing or wear mustaches or crazy hair or socks, the list goes on. The point is to #JustSayNo to drugs and peer pressure to try anything harmful. 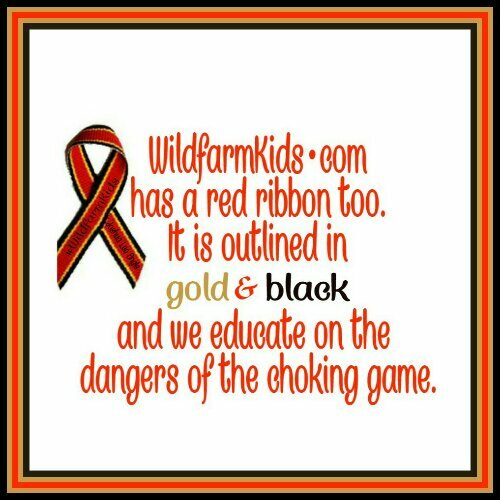 WildfarmKids has a red ribbon too and ours is outlined in gold and black. It is the Choking game awareness ribbon. Just like drugs can harm and kill our children so can the choking game. The choking game is about an adrenaline rush. What if you didn’t know your child was playing a deadly activity that kids become addicted to. Then hours later, some have seizures, some break and bruise and yes some die in a hospital on life support. The headaches that can’t be explained. The sore itchy eyes that interrupt daily routines and make reading almost impossible. What does the doctor say, the school say, what does your child say happened? What if it is the choking game. Have you considered it could be. Have you had the talk about it. In 3 minutes your child could die. No fear, no disobedience, no knowledge and with out you being aware. Your happy, fearless, smart child could die and you are blindsided… Wait, hold on, you can not be blindsided because you have the information here, you have the facts, you have this knowledge. Take 3 minutes and start a conservation. Talk to your children about the choking game when you talk to them about peer pressure, and drugs. It is a conversation worth having. We encourage you to share what is true, the facts before someone else gives them false information. 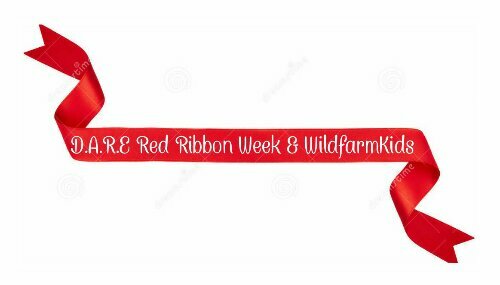 The Choking Game ribbon is outlined in gold because our children are treasures, the black is because we grieve for them and the red is our everlasting love for them.